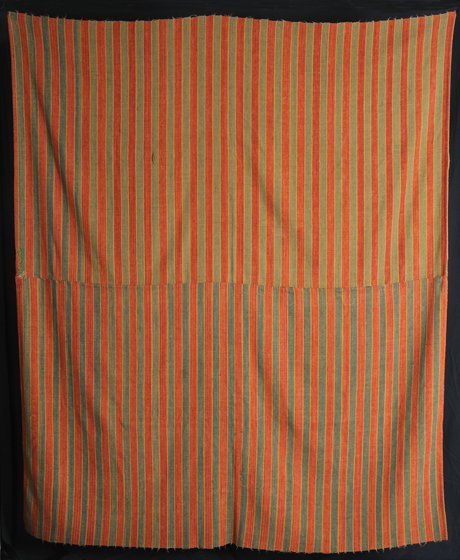 Made in Northern Ireland circa 1830, this hand-dyed woven blanket features stripes of red and green, dyed using beets and onions respectively. 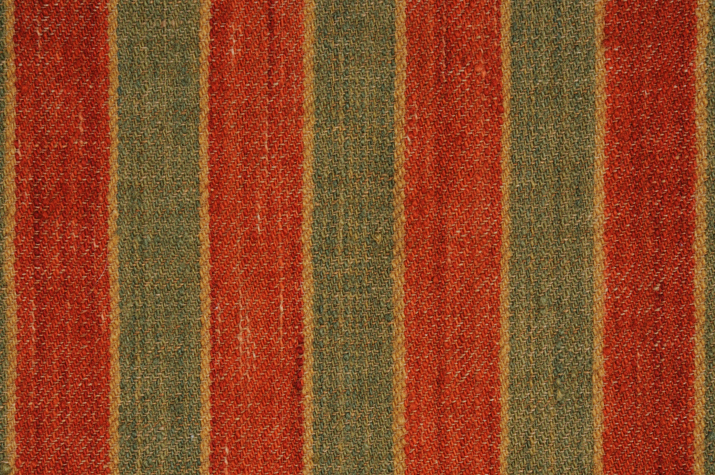 Each stripe is separated with a narrow yellow stripe. 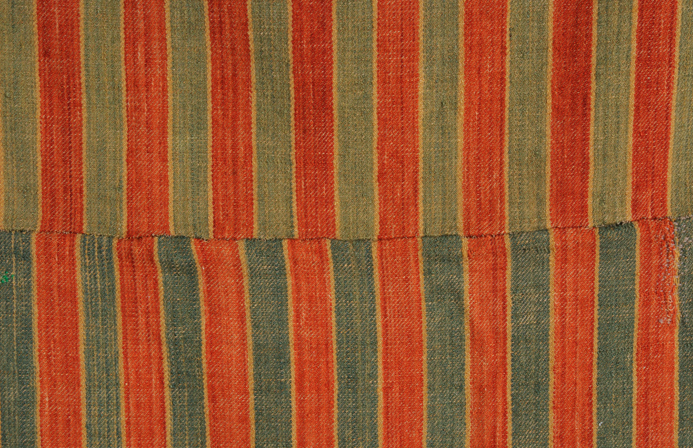 There are two distinct halves, sewn together, indicating the loom’s maximum width.